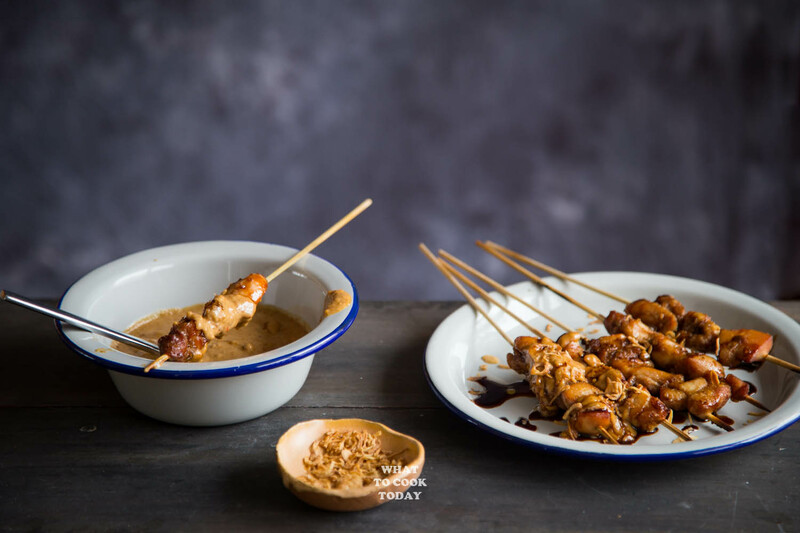 Sate Ayam Bumbu Kacang (Satay with Peanut Sauce) – Learn how to make authentic Indonesian sate ayam (Chicken satay) served with delicious peanut sauce that you want to drizzle on pretty much everything. I never use chicken breast for sate. Sorry folks, I don’t like the lean chicken breast for sate. It’s just not the same. 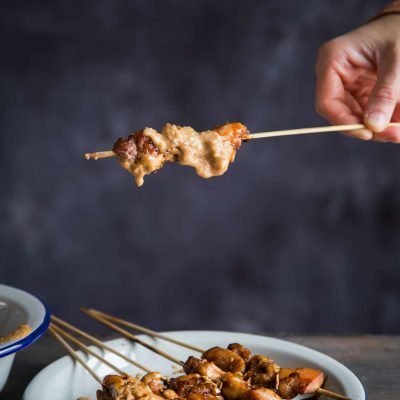 It gives me a cringe when I’m served sate made with chicken breast. 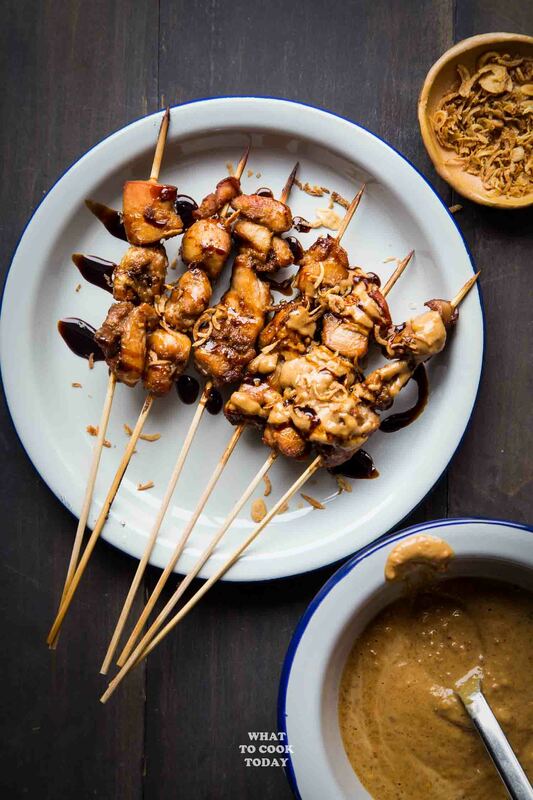 If you want good sate, please use chicken thighs or other dark meat. It makes a HUGE difference. You can always trim off excess fat from chicken thighs. 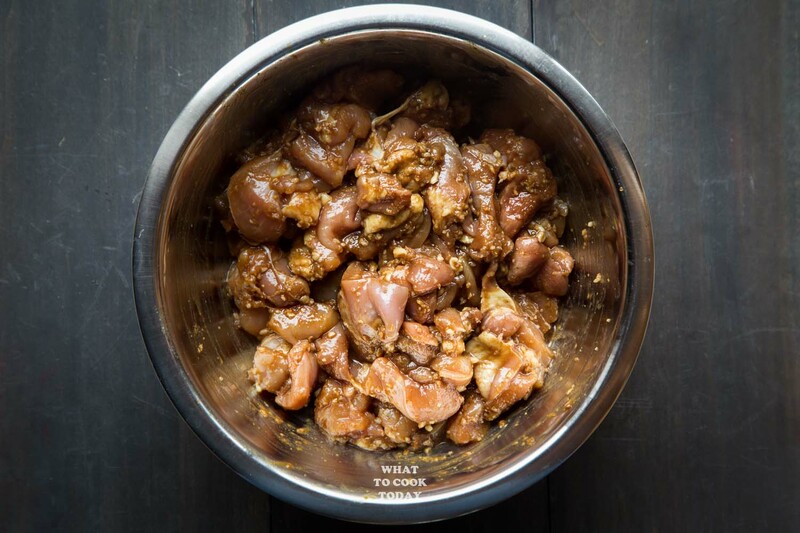 Yes, you need to ensure the meat has been marinated enough to get that flavorful meat. I usually let them marinade overnight, but at least 30 minutes if you don’t plan ahead. 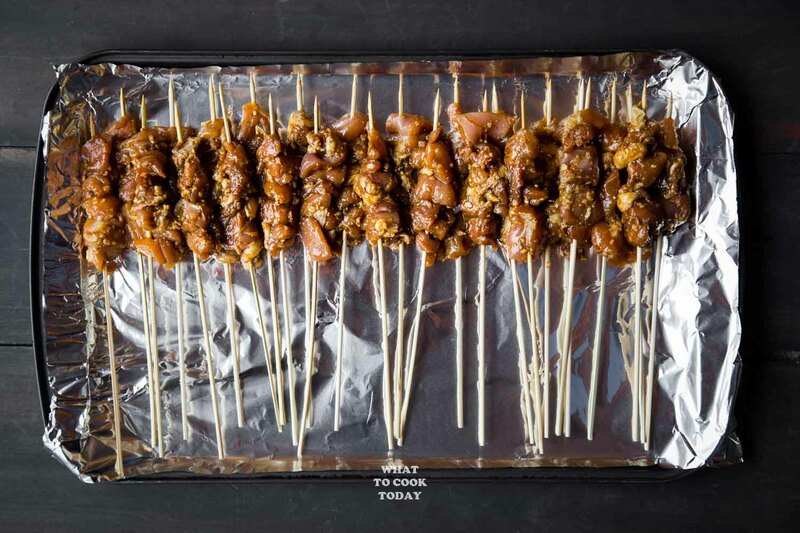 If you bake the satay in the oven, broil them briefly on low heat after. 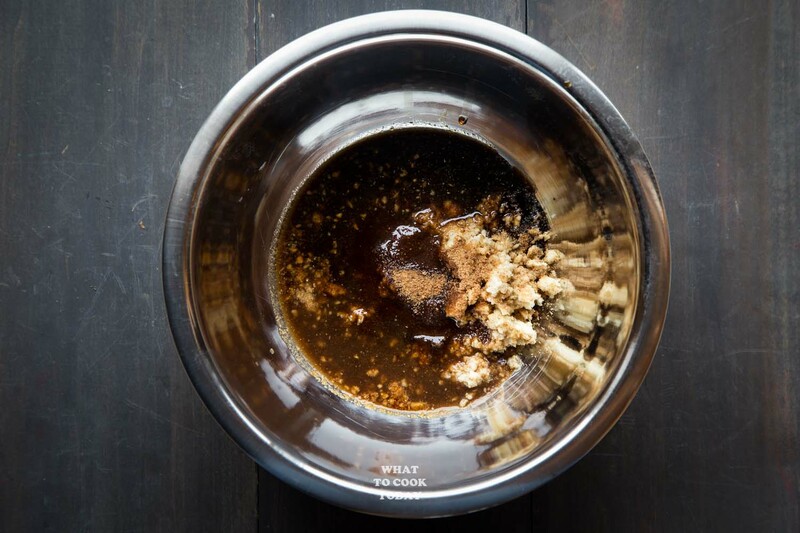 This creates a nice golden brown and light caramelization of the marinade. 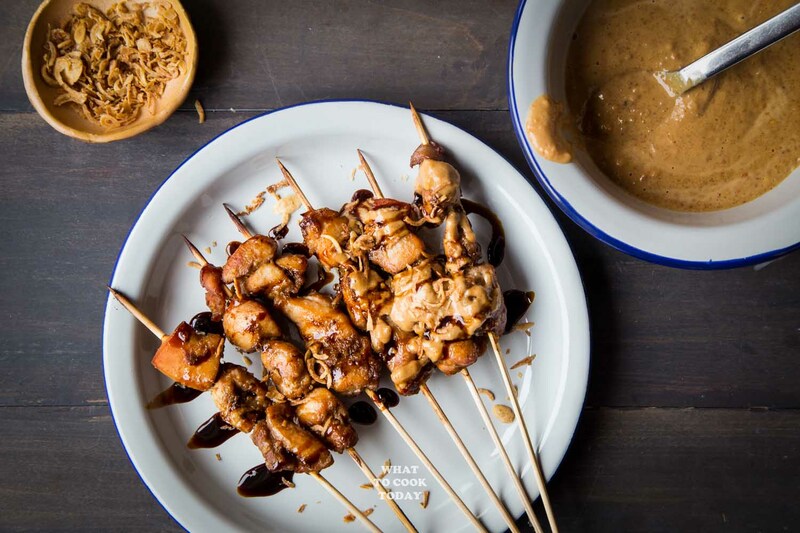 A lot of Indonesian food has peanut-based sauce such as gado gado, Lotek, and Ketoprak. They all have peanut-based sauce, but with slightly different ingredients. 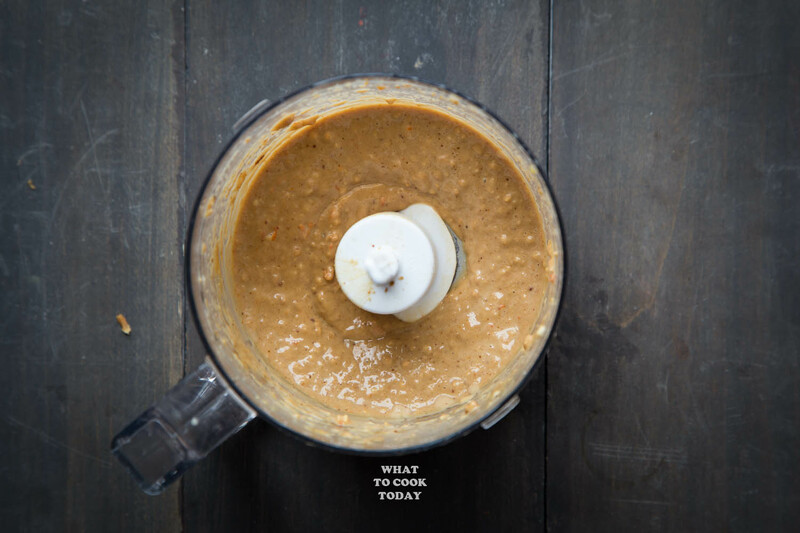 This peanut sauce doesn’t have coconut milk like in the one for gado gado. Yes, you may. I have tried that several times and I love it just as much. 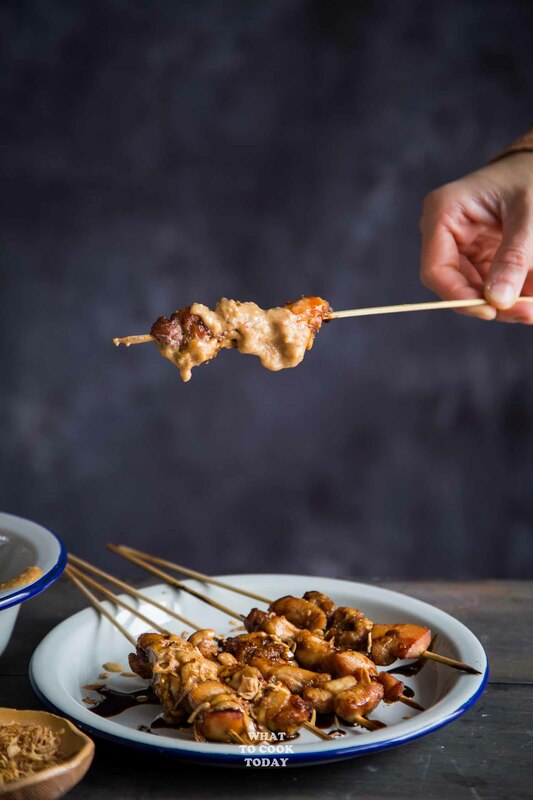 This recipe while provides an authentic taste of Indonesian sate ayam, it has that flexibility in terms of convenience too. 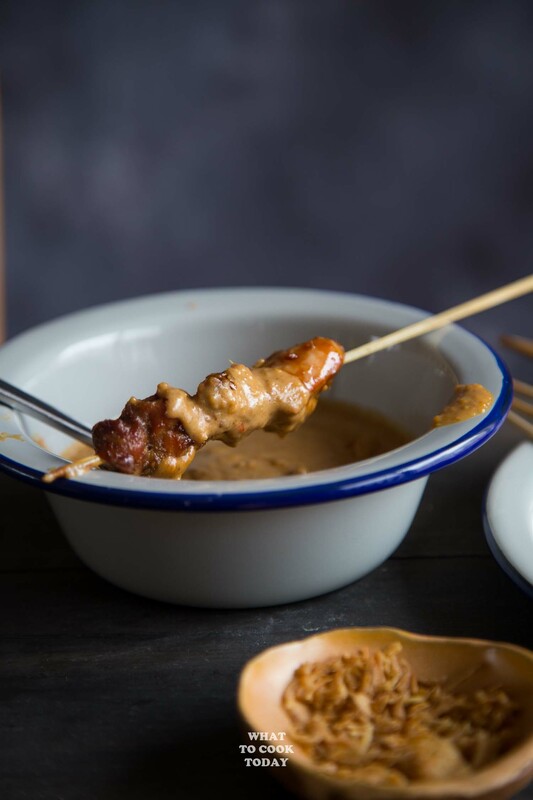 Sate Ayam Bumbu Kacang (Satay with Peanut Sauce) - Learn how to make authentic Indonesian sate ayam (Chicken satay) served with delicious peanut sauce that you want to drizzle on pretty much everything. I love this with lots of Kecap Manis and fried shallots!!!! Thanks for sharing this recipe! I spent a few months in indonesia a while back and this is certainly making me nostalgic! Yum. I lived off of these things there! Yes me too. With lots of kecap manis and bawang goreng for sure. Cheers! I love this. 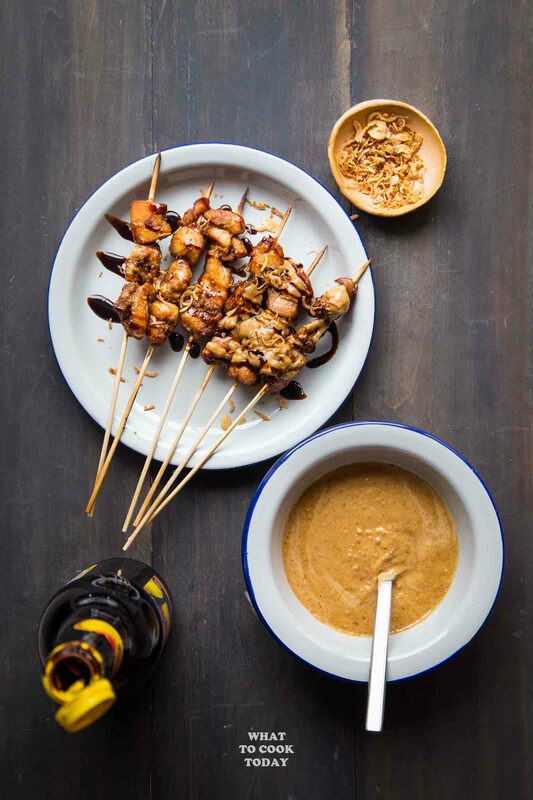 I need to learn more about kecap manis. I have no idea what it is, thankfully we have google. I am loving all the flavors. I’m totally with you on using chicken thighs. I only use chicken breast when I am trying to make a healthy meal (not very often). 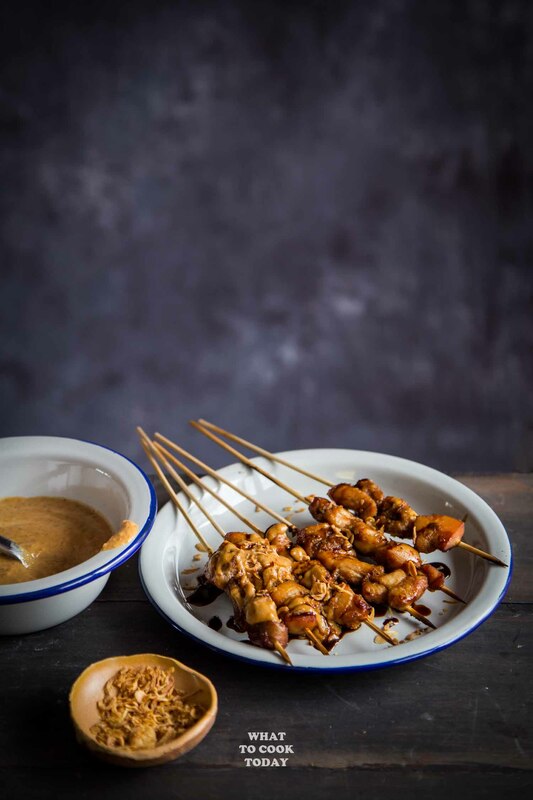 it’s hard to find indonesian cookbooks, here in indonesia, with appetizing pictures. imagine the irony. i’m very happy and grateful to have found your blog! everything looks so put together and so authentic indonesian. can’t wait to try this one out. hidup kecap manis! I’ve just tried this recipe, so far this is the best! Even the chicken itself without the sauce is already tasty! Been living in Canada for 3 years already, made me settled with not-so-authentic Indonesian food. Thanks God, I’ve found your blog!!! Thanks a lot!!! I used salted cashews instead of macadamia for the marinade, skipped the soy sauce because I didn’t read carefully, and creamy peanut butter for the sauce. I didn’t expect much actually, but the taste was amazing. Making an Indonesian meal for 20-30 Dutch friends in Florida and so happy to have found this blog- it was given to me by my hairdresser- who loves ethnic foods! We lived in Indonesia almost 30 years ago and love the food! Thank you!